There are times when you just need extra capacity in your pistol. 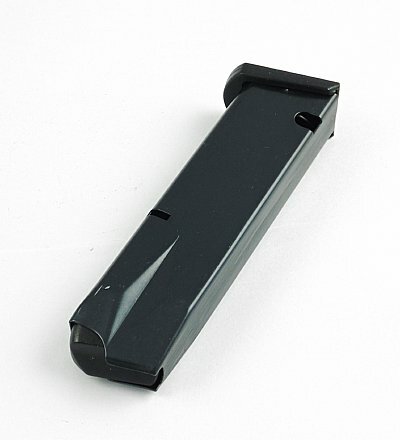 Our 50 round drum mag for the Glock 40 caliber pistols is just the ticket. 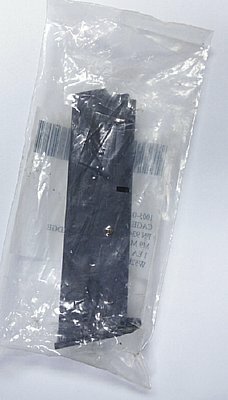 Fits double stack Glock 40cal pistols. High quality mag gives you the edge when you need it most. Another David's Collectibles great item. Drum Magazine is made of military grade black polymer with see thru feature so you can see how much ammo you have on hand. High quality spring gives you years of hard use. Fits like any standard mag, but with a drum mag you have extra firepower when needed. There are times when you just need extra capacity in your pistol. 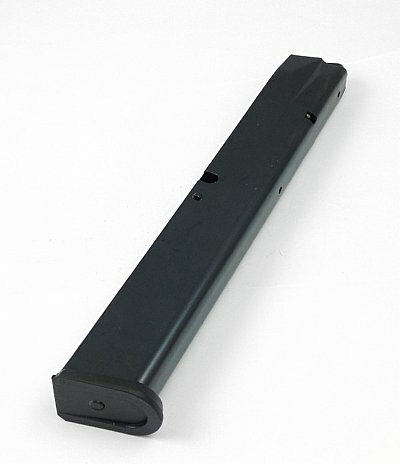 Our 26 round mag for the Glock 45 caliber pistols is just the ticket. 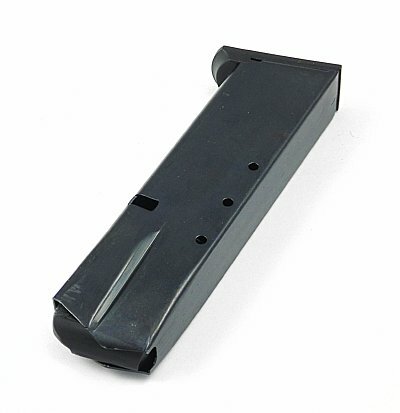 High quality mag gives you the edge when you need it most. Another David's Collectibles great item. 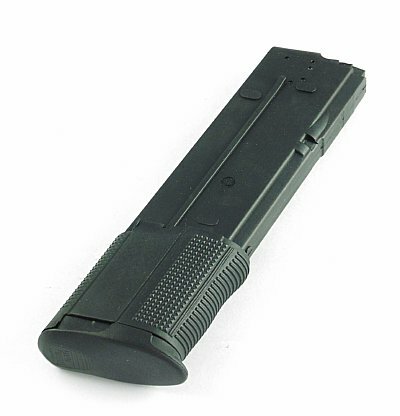 Magazine is made of military grade black polymer with metal liner inside. High quality spring gives you years of hard use. Mag has see thru counter so you can see how many rounds you have at a glance. 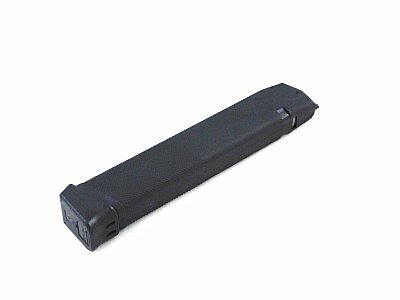 Drum mag for the Glock 45 pistol and rifles that accept Glock 45cal mags. Drum is made of quality materials and fits all glocks that accept double stack mags. Give that pistol the firepower it deserves. Polymer mag is made of military quality materials for long life. Fits Glock 45cal pistols that are in 45cal and accept double stack mags. 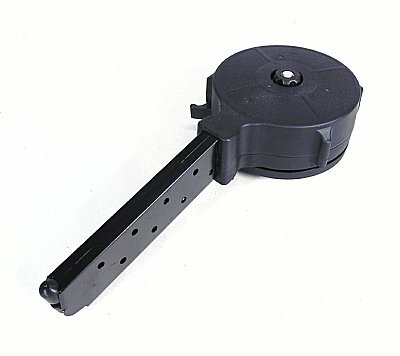 Works with left or right handed mag release models. 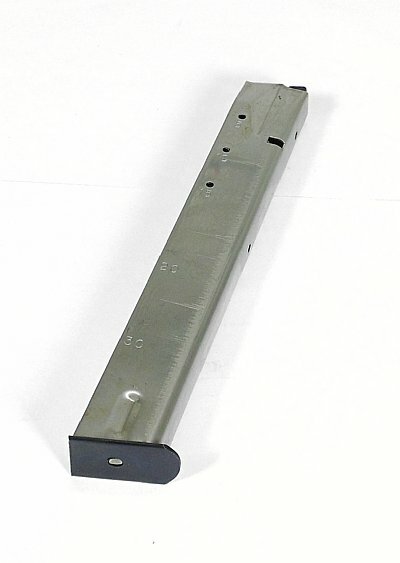 Quality metal lined mag top with metal bullet guide and spring system. 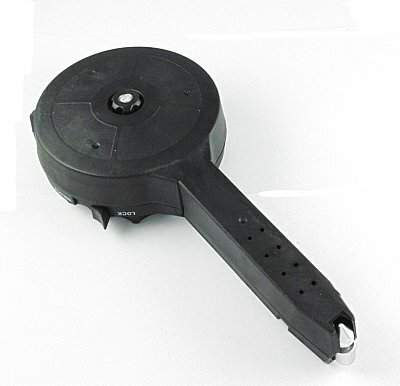 Lock system built into mag to ease loading and take pressure off top of mag when not in use. 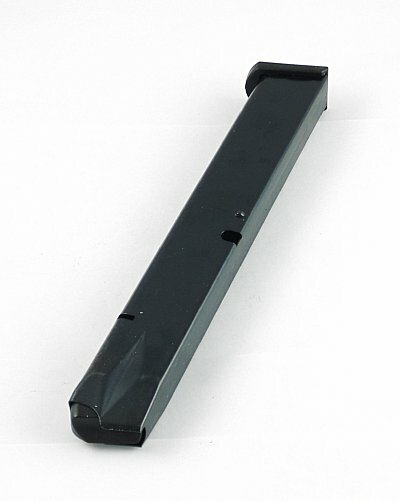 The best mag you can buy for your Beretta 92 series 9mm pistol. 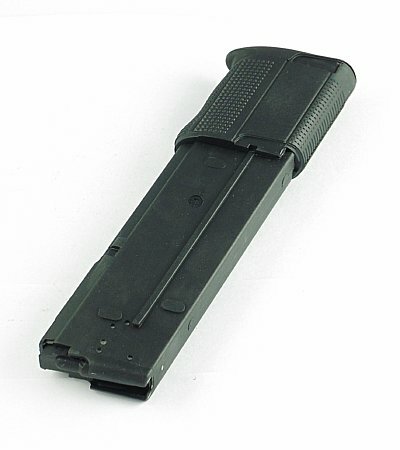 This 15 round mag is new in the package straight from US military surplus and is unissued. 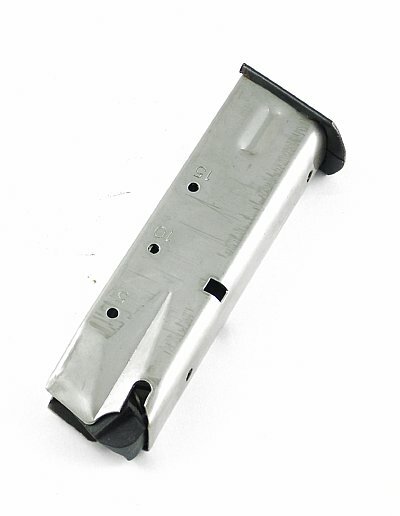 Surplus unissued magazine for the Baretta 92 series pistol, 92/92F/92S in 9mm. 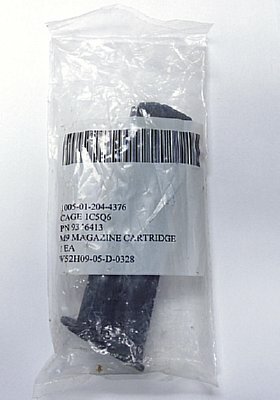 These mags are in their sealed mags and have never been inserted into a firearm. 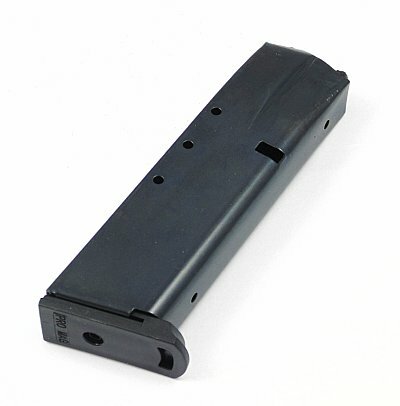 If you have the pistol, these are the highest quality mags available. Very limited supply! 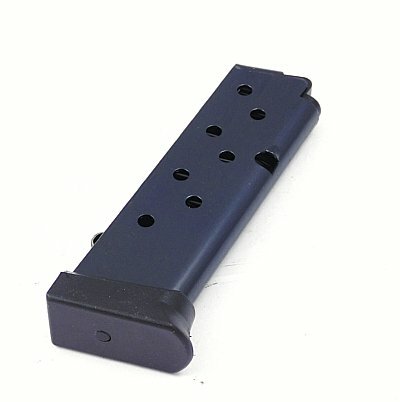 Double stack 15rd Mag for the Beretta M92/M9 in 9mm. Keep a few extra around for that great Beretta pistol. Made from heat treated blued steel with a follower and base plate molded from Dupont Zytel black bolymer. Spring is Chrome silicon wire heat treated for strength and reliability. 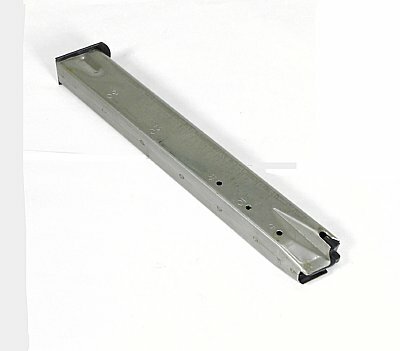 Magazine for Beretta M92F, M92, M9 9mm 15rd capacity in stainless steel. Mag has Stainless Steel body with mag spring of chrome silicon wire that is heat treated for strength and reliability. 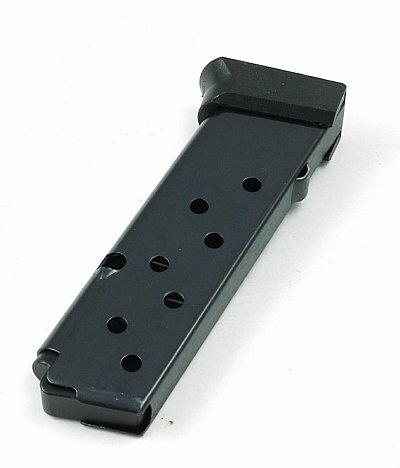 Double stack 32rd Mag for the Beretta M92/M9 in 9mm. Keep a few extra around for that great Beretta pistol. 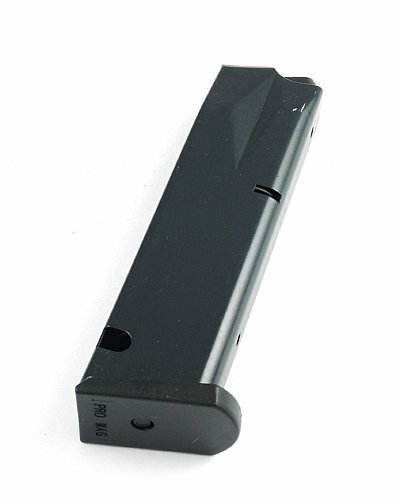 Double stack 15rd Mag for the Smith & Wesson Series 910, 915, 459 and 5900 pistols in 9mm. 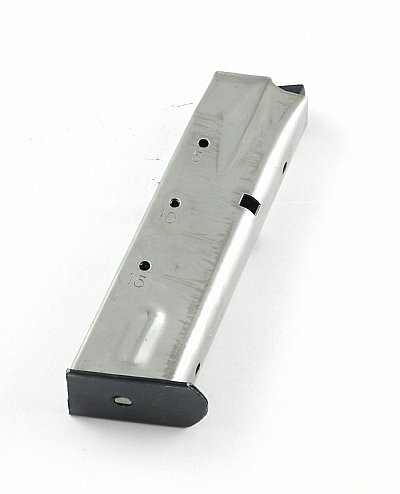 30 round stainless steel mag for the Smith & Wesson 59 series pistols in 9mm. 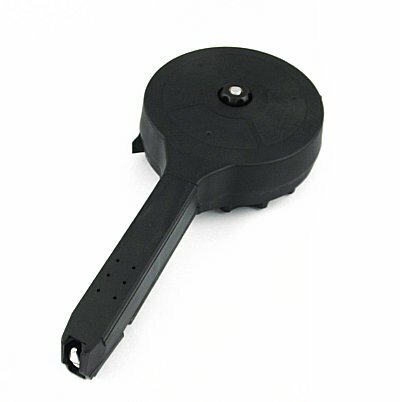 Mag features self lubricating polymer follower and metal base plate with a high quality steel spring. 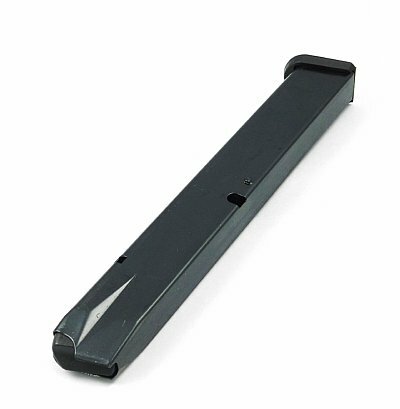 Note: This magazine does not work in SDVE guns. There are times when you just need extra capacity in your pistol. 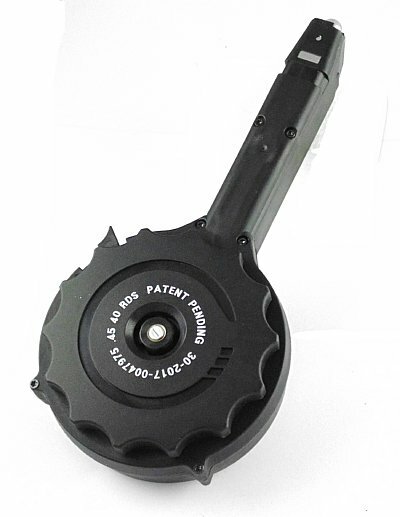 Our 28 round drum mag for the Colt 1911 45acp caliber pistols is just the ticket. High quality mag gives you the edge when you need it most. Another David's Collectibles great item. 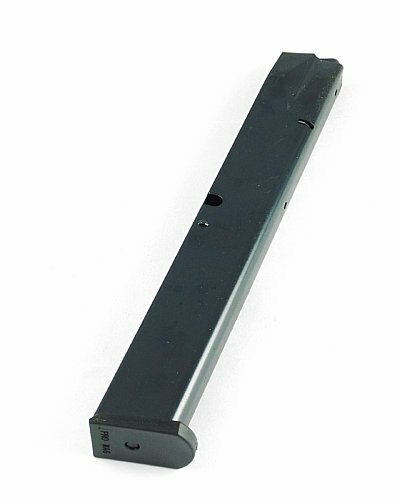 Eight round mag for the Hi Point model C Pistol in 9mm. 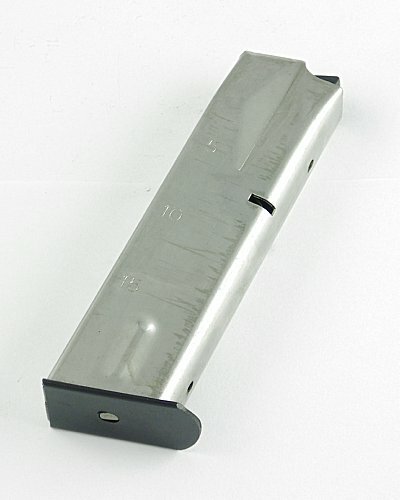 Mag holds 8 rounds and is for pistols in 9mm caliber. 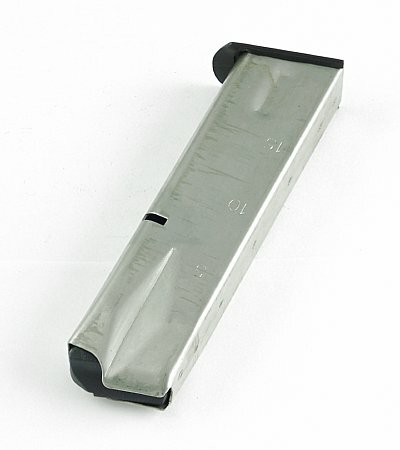 Fifteen Round Stainless Steel mag for the Taurus PT92 pistol. For PT-92 pistols in 9mm caliber. Extended capacity for when you need extra firepower. 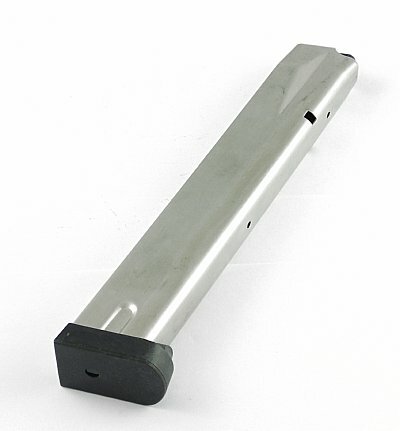 Entended magazine is made of heat treated blued steel. Chrome silicon mag spring heat treated for strength and reliability. 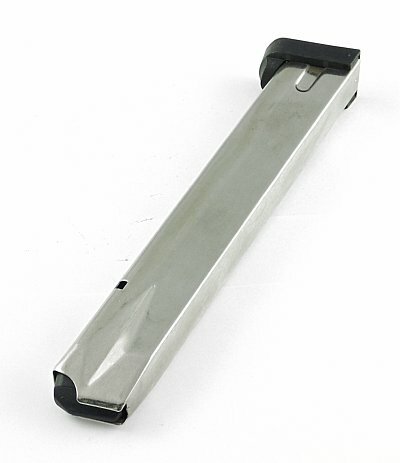 Thirty Round Stainless Steel mag for the Taurus PT92 pistol. For PT-92 pistols in 9mm caliber. Extended capacity for when you need extra firepower. 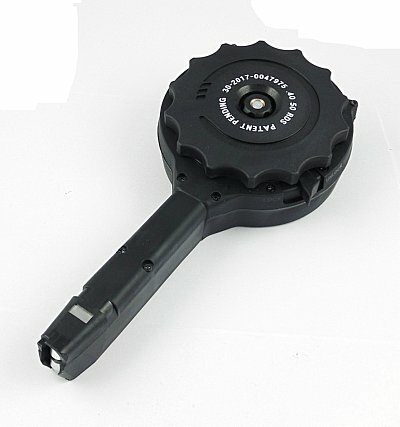 Thirty Two Round mag for the Taurus PT92 pistol. For PT-92 pistols in 9mm caliber. Extended capacity for when you need extra firepower. 30 round mag for the 5.7 FNH pistol. Fits pistols and carbines accepting the FNH mag in 5.7x28mm caliber. 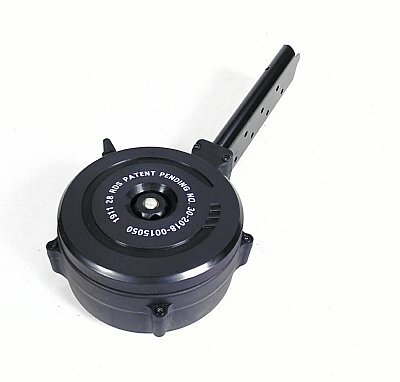 Heavy duty military grade injection moulded housing and follower. Mag spring is heat treated chrome silicon for long use and reliability. Includes a molded grip sleeve for easy grasp.